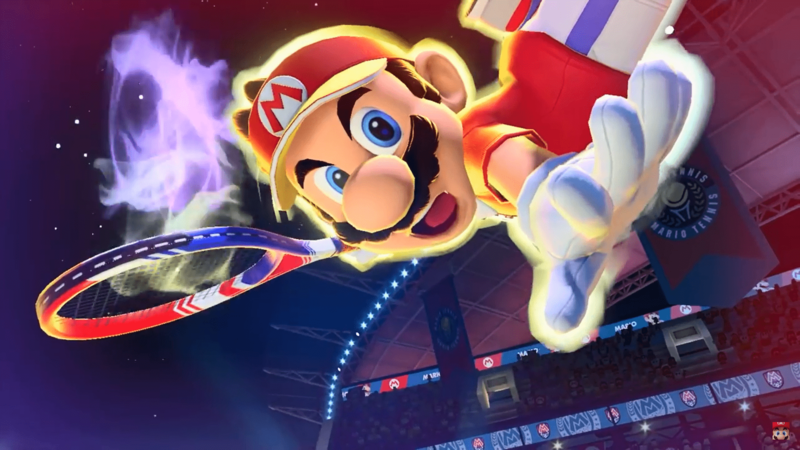 Mario Tennis Aces Serves Up Story Trailer, Online Demo | Nerd Much? Mario Tennis Aces is looking promising. We won’t know for sure how it turns out until it releases in June, but Nintendo plans to give fans a sneak peak prior to that with an online demo. Which to me certainly sounds as though they are confident in their tennis title. Adventure mode will serve as a place to “master the basics” before going online. The story is likely to be minimal at best. Mario titles, perhaps especially Mario sports titles, aren’t exactly renowned for their narrative prowess. But it is amusing that once again it’s Luigi mucking things up for his older brother. Today’s trailer description reads that “In Adventure mode, level up Mario and thwart the wicked plans of Wario, Waluigi, and the legendary racket itself.” Wario and Waluigi look as though they are being possessed by some sort of ghostly creature in the trailer. And I’m sure Bowser somehow gets himself involved in the mix too. Nintendo has also confirmed that a pre-launch online tournament will be taking place for Mario Tennis Aces. In North America, players will be able to download a free demo of the game beginning June 1st at 6:00 p.m. Pacific, 9:00 p.m. Eastern. The online demo will conclude on Sunday, June 3rd at 11:59 p.m. Pacific. Those that download and try the demo out will be awarded Mario’s “classic outfit” upon purchase of the full game. Which is reason enough alone to jump into the free offering. There’s only a little over a month before we begin hitting the courts. Mario Tennis Aces comes to the Nintendo Switch on June 22nd.